The Iranian currency rial today reached its lowest value against dollar since Rouhani came to power in August. Fars News Agency reports that each dollar was trading for 31,250 rials at currency exchange markets today. 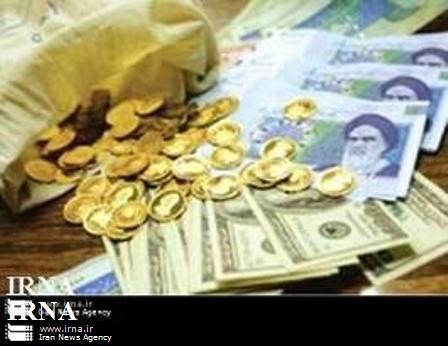 In July of last year, Ahmadinejad’s government devaluated the rial by 100%, setting the official rate of exchange at 24,770 rials per dollar, as opposed to 12,260 that was in effect since 2012. Since Rouhani came to office in August, the rial has been trading in exchange markets below 30,000, but now it has passed that psychological mark. The Iranian economy suffers from a very high inflation, officially at 38% annual rate, and negative economic growth. A Hell run by terrorists and thieves whose only support comes from Iranians in the West like Mark. If you don’t have anything useful to say, here on Iranian economy, except empty sloganeering and accusations against authors and commentators, you better seek other blogs who thrive on such rhetoric. You’ll enjoy it more. In order to control inflation, they have tightened money supply and that has impacted markets ion Iran badly, besides not knowing what they are doing. This may trigger the downfall of the government rather than military invasion! Can someone come up with a rational explanation for this? they just don't have money to pay for the new year (eidee to government employe) so it is going up. it will come back down. it is the trend every year, nothing new. for me 2400 Toman for one $ is disaster. I will visit Iran next month, I got last year 4000 Toman for one $. Statistics (CBI and SCI) from January (Dey) show Iran's inflation rate for previous six months at 18 percent. See HERE. Anon 2:30 PM, a valid point, this might just be a seasonal adjustment. But combined with the very high inflation and the negative growth, it could be part of structural problems facing the country's economy. Anon 3:19 PM, you shouldn't have a problem, you will sell your dollar in exchange markets, not at the official rate. So go and visit. There could be two reasons for the rial losing its value: the economic activities have remained stagnant, the government reports continued negative economic growth; and the inflation rate stays very high, the government is basing its next calendar year's budget, starting on 21 March, at an annual inflation rate of 25%. These are recipes for trouble, and their combination is particularly problematic, something called stagflation; national currencies suffer under those conditions. A word of caution, however. The currency exchange markets are not that free, and subject to manipulations, including from the CBI. So some of the fluctuations in the rate could be temporary and not explainable by theory. Please also note that if the inflation were going down, the rial would have been expected to gain value, not losing it. I understand they have had some success in bringing the inflation down by controlling the money supply. It just does not make sense for CBI to deliberately devalue the currency. They know well that a stable currency is the bedrock of the economy. Something must have gone wrong which they are not prepared to admit. Remember Uskowi,"economy is for donkeys." CBI's devaluation of rial was in July 2013, one of the last act of Ahmadinejad's administration. What happened today was rial losing value in currency exchange markets. CBI did not changed the official rate.